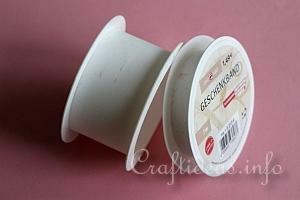 The easiest way is to use the garland is to wrap it around a glass and glue the ends together. The glass has to be straight like a whisky glass. 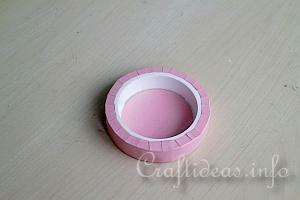 Or you can create a holder by upcycling ribbon rolls/ spools. The tutorial below will show you how it was done. 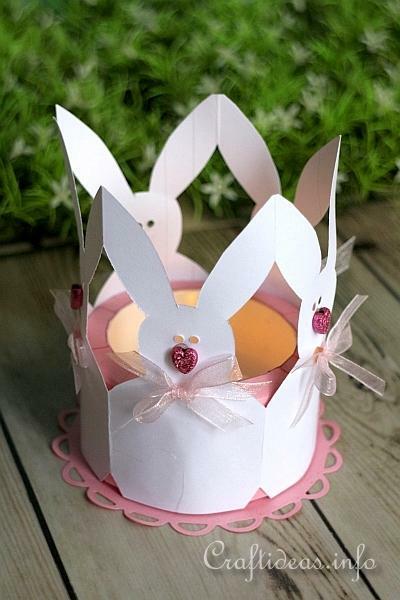 When using this paper version, please only use LED tea lights because of safety reasons. 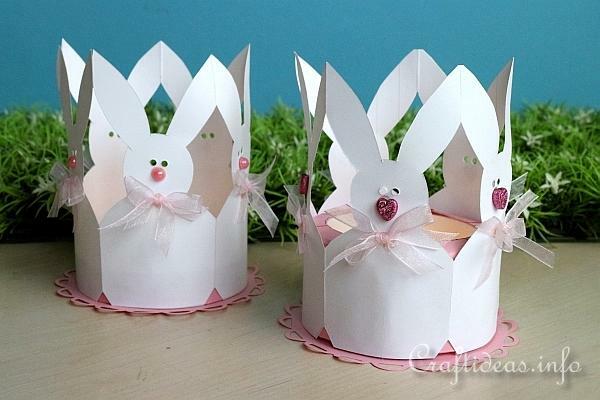 The technical way to find out how long your bunny garland needs to be to cover the glass or other object is to first measure the distance across the center of the top of round object you are using and then multiply this measurement by 3.14 (pi). That will be the approximate length your garland will need to be to wrap around the item you want to cover. Then add about about 2 centimeters for overlapping. After that you can measure how wide the bunny template has to be. Our bunny garland has 5 bunny segments. Our holder had a diameter from 8.7 centimeters. This multiplied by 3.14 equaled 27.318 centimeters. We rounded this sum up to 27.5 centimeters and added 2 centimeters overlap to give a total of 29.5 centimeters. To find out how wide the bunny then needs to be is then to subtract the added 2 centimeters and then divide 27.5 by 5 (the amount of segments) and you get a total of 5.5 centimeters. That is the width the bunny got printed out at. 1. 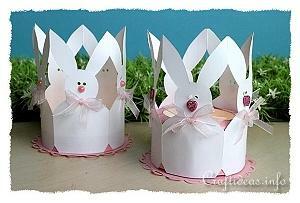 Follow this Paper Easter Bunny Garland Tutorial to first create the bunny garland you will need for this project. 2. 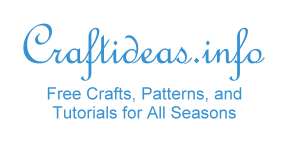 To create the upcycled ribbon roll holders, measure the empty ribbon spool height. Then add 2 centimeters to the measurement for the width of the paper strip. The small ribbon roll was 1.5 centimeters high, so 3.5 centimeters were then marked on the paper. For the length of the paper strip, measure the length of the garland you have made and add about 1-2 centimeters for overlapping and this will be the length of the paper strip. This paper strip here was approximately 29 centimeters in width. 3. Then score 1 centimeter down both long sides of the strip. 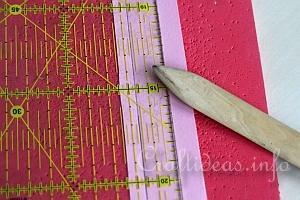 Use the bone folder and crease the scored lines. 4. Open it up again and snip the paper at about 1 centimeter intervals from the outside edge to the creased line on both sides. 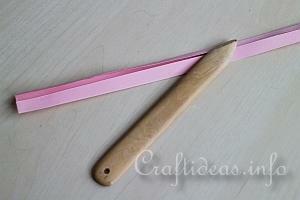 This will make the strip easier to fold around the ribbon roll. 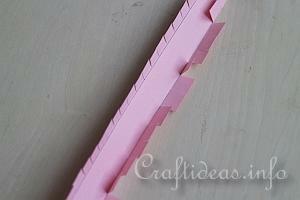 You are covering the side of the ribbon roll to cover the empty space so you can glue the garland on it. 5. 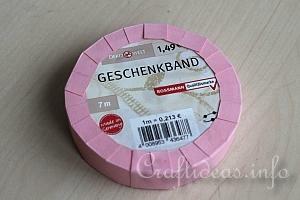 Wrap the paper around the ribbon roll and glue the tabs down using a strong glue. 6. Repeat on the other side of the spool. 7. Now the side of the roll is covererd. 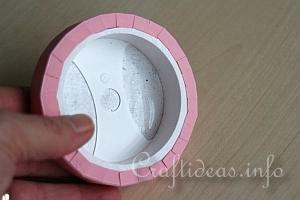 Cut a circle to place on the inside of the roll so the area is covered. 8. 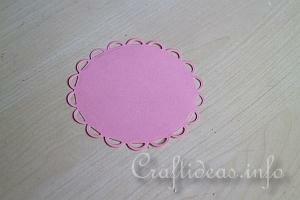 Die cut a scallop circle (if you have the machine and dies) or simply cut out a larger circle. 9. 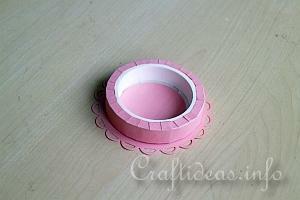 Then glue the holder onto the large circle. 10. 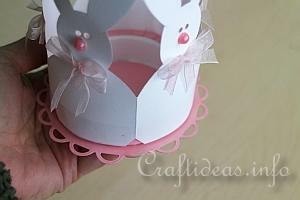 Wrap and glue the bunny garland around the holder and you are finished. 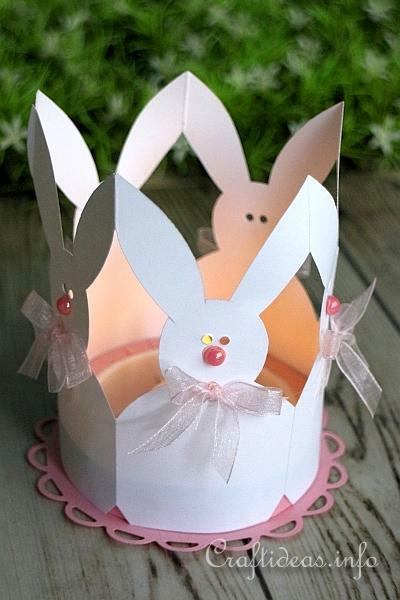 This gentle rabbit is easy to make.